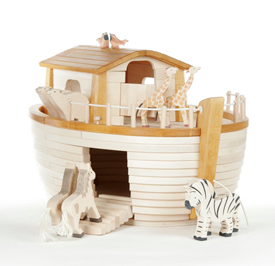 Too late for Christmas, but still fabulous, how gorgeous is this hand carved Noah's Ark? With a $1030 price tag consider it more of a piece of artwork and family heirloom. 22" x 18.5" x 33"
How beautiful and it would even be more beautiful if it wasn't for the price. Wow!